The SVSSED 4.5-24x56 FFP IR MH-H is the first SV Series with the Sightron Illuminated Mil-Hash-H First Focal Plane Reticle. 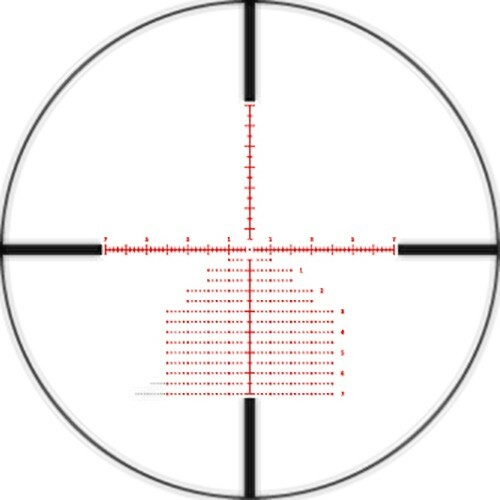 The MH-H reticle features windage marks at .2 Mil spacing for accurate shot placement. The large locking tactical knobs feature .1 MRAD clicks with 10 MRAD per revolution. The illumination system is incorporated with the side focus for a more streamline profile.